Geographically Egypt is in Africa, but culturally it is Middle East. I put it under Middle East for my website, but it could be either one. 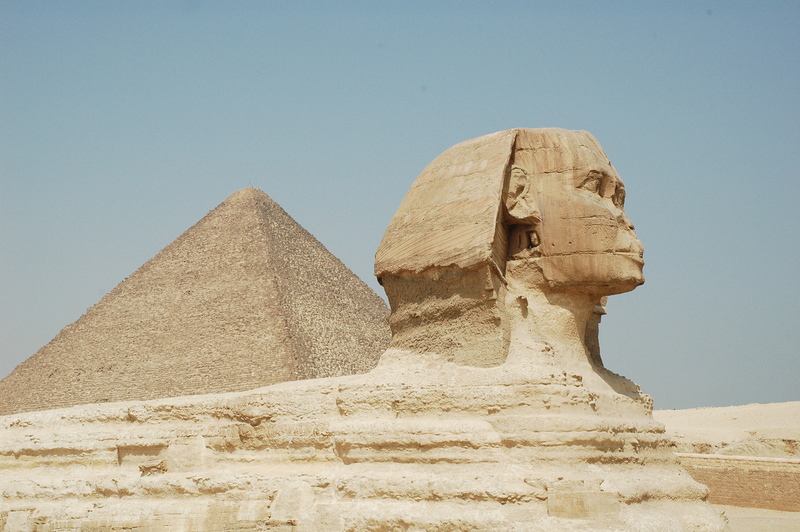 There is a lot to see in Egypt: the Giza Pyramids and other pyramids, the Sphinx, the unforgiving Sahara Desert, pharaohs and mummies, the Nile River, Luxor City, the Red Sea, Mt. Sinai, and more. You can ride a camel, swim in the warm waters of the Red Sea with dolphins and dungongs (Manatees), cruise the Nile and much more. You won’t run out of things to see, but you may run out of time to see everything. Egypt has 4 main climate regions. The weather in Egypt tends to be hot throughout the year. However, the desert can get chilly at night because of the desert climate. Wear light loose clothing and bring a jacket or cardigan for night. Don’t forget your sunglasses, hats and sunscreen. The Sun can be ruthless. The Sahara Desert: The Sahara Desert can reach over 122 F (50 C) and can drop to 59 F (15 C) in the winter. Best times to visit are in May, June, September, October and November. 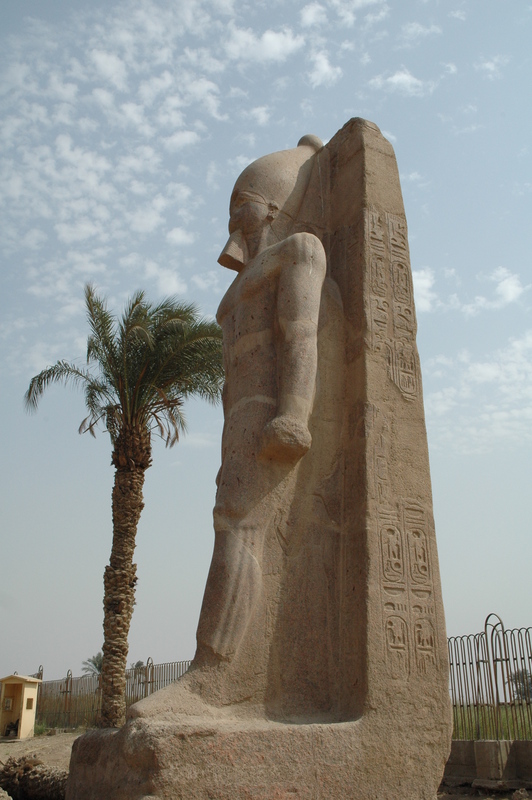 The Nile: The Nile is called the life blood of Egypt. It determines the country’s agriculture and is considered holy. Most of the Egypt’s population is concentrated around the Nile in Cairo. High temperatures are 86 F (30 C) and lows are 59 F (15 C). Best times to visit are September – May. 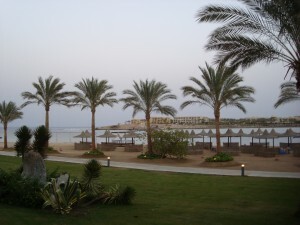 Red Sea and Sinai Peninsula: The Red Sea has a number of resorts to choose from. This is my favorite part of Egypt. It is away from the crowded city of Cairo. A lot of resorts are in Sharm el Sheikh, El Gouna, Marsa Alam and Hurghada; these are all popular destinations for scuba divers and you will see a lot of British people here on holiday. Temperatures can rise above 104 F (40 C) in July and August. Winter Temperatures can be up to 75 F (24 C). Rainfall is more abundant at the end of the winter to early spring. Mediterranean Coast: The average high temperature in Alexandria is 82 F (28 C). The Lows are 59 F (15 C). There can be cool breezes from the ocean. 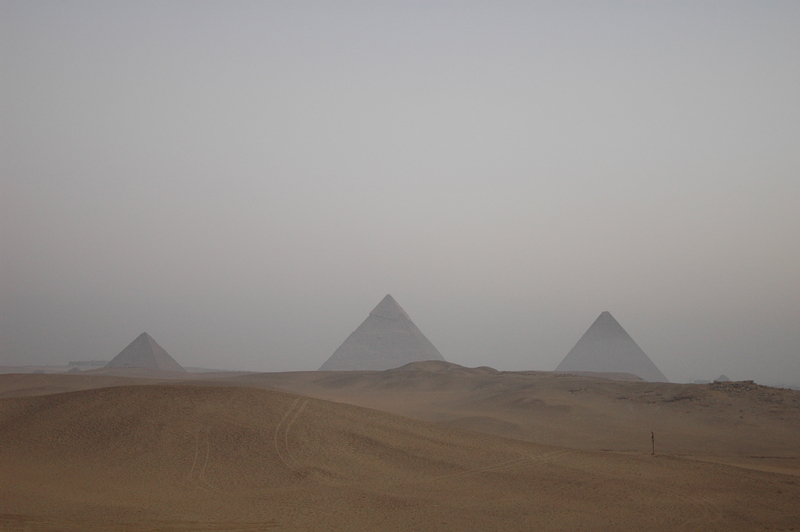 Just like other areas in Egypt, you can get sandstorms in March and April. Late summer and early winter are the best times to visit Egypt’s Mediterranean. Desert – Remember the desert can get cold at night even when it is hot in the day. Bargain for everything and pay less than a quarter of the asking price. NEVER say yes to the first price. Instead tell them what you want to pay at first (start at half of what you really pay). Don’t be afraid to walk away because you can probably get the same thing down the street. Egyptian food is generally very good with lots of flavor. Do not drink the tap water. Remember ice and lettuce is from the same tap water. If you stomach gets upset, just go to a pharmacy and they will give you pills to make it go away. It is best to do this sooner than later, because often times you stomach won’t get better until you take the pills. 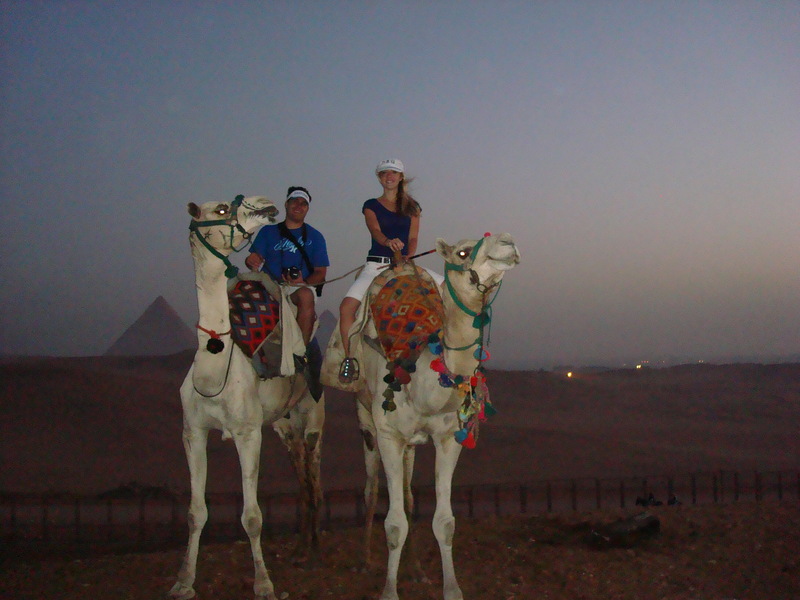 Red Sea – Sharm el Sheikh and a lot of places near the Red Sea are built for tourists. The prices will be more expensive, close to the UK. The Red Sea has some of the best diving and snorkeling places in the world. It is absolutely beautiful next to the Sahara Desert. Best time to visit? Peak travel is October – April when it isn’t as hot. Sand storms are normally in March and April. Sand or Dust storms are infrequent and hard to predict. When they do come they can last up to half a day. The Red Sea is still pretty warm even in the winter. What to wear? For women In Cairo you will see all different kinds of clothing. Islamic dress, burqas, or hijabs (the shawl that Muslims usually wear over the women’s head). Some of them wear clothing to their wrists and ankles without the hijab, or western clothing aka revealing clothing. Basically you can wear whatever you want. They recommend not wearing revealing clothes or even really short shorts or skirts. Most people will have their shoulders covered and longer shorts or pants. If it is really hot for you then wear a tank top or spaghetti straps. While walking around try to wear a cardigan or cover your shoulders, but when you sit down at a restaurant or somewhere it is acceptable to take off the cardigan even with a sleeveless top or dress. If you are visiting a religious place like a mosques or a church, you need to dress conservatively with pants and shoulders covered or you won’t be allowed to enter. Most people wear whatever they normally would for clubs; you won’t find Egyptians there unless they are working. In Sharm and Hurgada and other places along the Red Sea, you can wear a bikini or whatever you would like. They are much more relaxed along the beach areas and in the tourist towns. In these towns by the Red Sea feel free to wear what you normally would back home. Some restaurants may have a dress code like slacks for the guys depending on where you are eating for dinner. Egypt is hot so wear cotton clothing. Bring lots of sunscreen; wear a hat and sunglasses at the beach. The sun can be unforgiving. Tipping Etiquette: Even though they may not show the appreciation the tips can mean a lot to them. They may look disappointed and often times will say that is too low even though it may be more than enough. When they are rude about it some tourists will take the tips back, some may say “no it isn’t” and pretend to take it back, but in fact give them more money. Some people will purposely tip less the first time, and then give more if they complain. Try to give tips discreetly because the Egyptians can be proud and can be embarrassed by taking your tip. The general rule is when in doubt tip. Just remember it is your discretion whether you want to tip or not. Tip anyone who provides a service to you who, that can include bathroom attendants (50PT-1LE), street sweepers and guards (1-5LE), extra access to museums (5LE), Bell Hoppers (3-5LE per bag), and groundskeepers (1-5LE). Depending on the taxi driver’s rate you most likely don’t need to tip additional, it may be included in the price you negotiate. If it isn’t, 10-20 LE can be generous. Waiter/Waitress: 5-10 LE per person for breakfast, Lunch. Or 5-10% in general if service and food was good. If there is a service fee on the receipt it goes to the restaurant, and you should still tip the waiter. 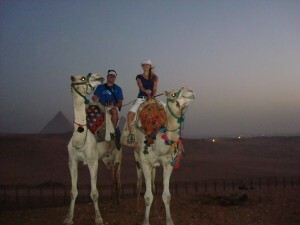 Sightseeing Driver: 50LE, and Guide 80-100LE full Day. Half that amount suggested if it is only ½ Day. Felucca man and horsemen: 10 LE at the most and don’t pay double if the agreed upon a price that includes the tip already. Cruise personnel on the Nile or Lake Nasser: 10 LE per person in your party. You can leave the tip at the main office preferably in an envelope; and you can write your room number or name on it. It will be divided by ranking of the staff. If you want to give a tip to someone specific make sure no one can see you or they will have to share it with everyone else. Tip at the end of the cruise. Boat personnel on the Red Sea: 10-20 LE for every Egyptian who worked on the boat. I have heard that any staff members who are not Egyptian don’t expect tips, so don’t include them when you pay the tip jar. Tip 50 LE at the end of the cruise for a waiter who served you the entire time. Kids helping at the stables: 5-10 LE at the end. If you are in a large travel group and they suggest you leave one tip for all the people involved for tipping, the maximum suggested amount is 350 LE per person for a 2 week long tour. If you are traveling with your wife or daughter, you may be offered camels in exchange. To find out how many camels she is worth Click Here. The more obedient she is the more camels you will get. Do not sit crossed legs with your shoes facing some Egyptian (its considered rude) it should face the ground instead. Egyptians usually gesture a lot when they talk and express themselves with their hands and arms.